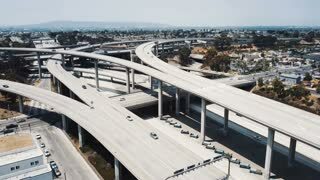 Search Results for "los angeles aerial night moving"
los angeles freeway night. 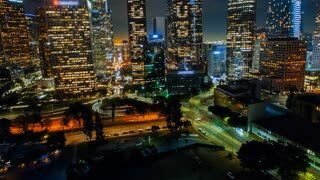 This clip is an aerial shot of cars driving on a freeway in Los Angeles, California at night then tilts up to show the city lights and freeway. Los Angeles Editorialway night. 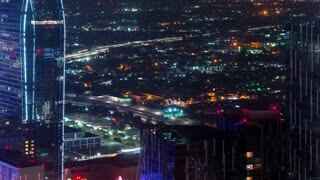 This clip is an aerial shot of a freeway in Los Angeles, California at night and the surrounding area. 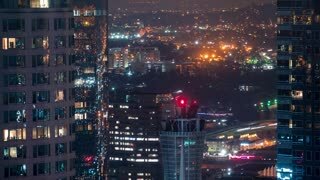 Los Angeles Editorialway night. 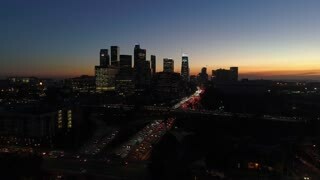 This clip is an aerial shot of Los Angeles and a freeway at night. Los Angeles Pantages Theater. 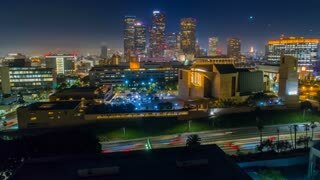 This clip is an aerial shot of the Pantages Theater in Los Angeles, California at night. 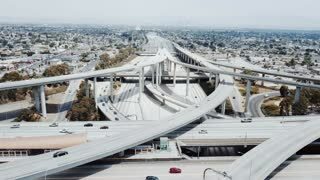 Los Angeles street cars. 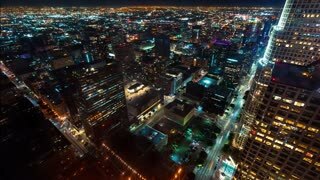 This clip is an aerial shot of a street in Los Angeles, California at night. Editorialway cars night. 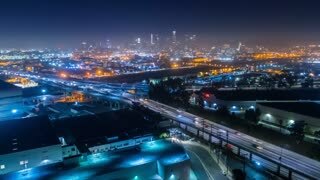 This clip is an aerial shot of a freeway in Los Angeles, California at night. Editorialway car night. 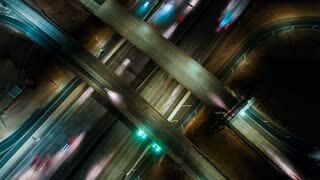 This clip is an aerial close up shot of a truck on a freeway in Los Angeles, California at night. freeway sign night. 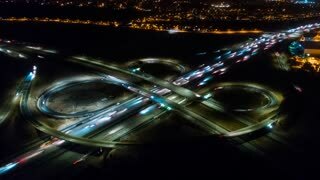 This clip is a close up aerial shot of a green freeway exit sign on a Los Angeles, California freeway at night. The sign is lit up and there are cars and trucks driving below it. Editorialway cars night. 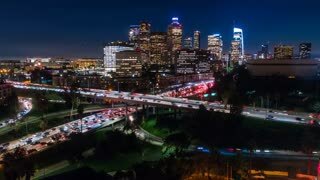 This clip is a wide aerial shot of cars on a freeway in Los Angeles, California at night. Editorialway cars night. 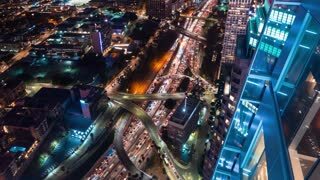 This clip is an aerial shot of a freeway with cars in Los Angeles, California at night. 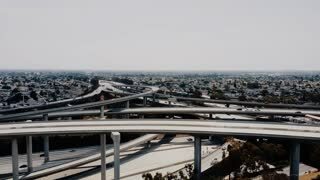 white van freeway. 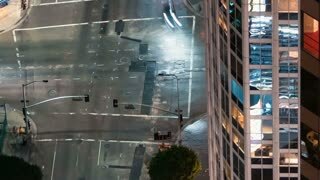 This clip is an extreme close up aerial shot of a white van on a freeway in Los Angeles, California at night. 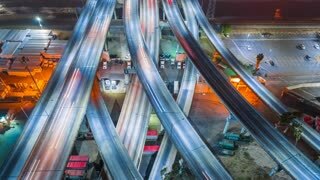 Cars freeway night. 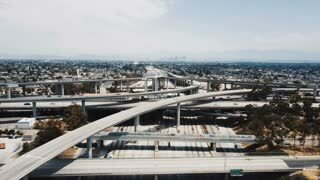 This clip is an aerial shot of some cars close up on a freeway in Los Angeles, California. Hollywood street intersection. 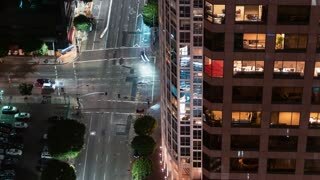 This clip is an aerial shot of an intersection in Hollywood Los Angeles, California at night. There are cars waiting at the light while pedestrians cross. Hollywood square statue. 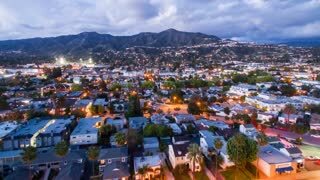 This clip is an aerial shot of a town square in Hollywood Los Angeles, California at night. It then zooms in to a close up of a statue on the side of the building. Hollywood street cars. 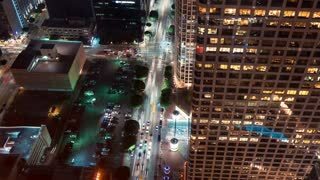 This clip is an aerial shot of a busy street in Hollywood Los Angeles, California at night. Hollywood elephant statue. 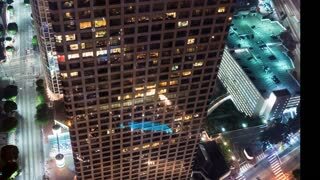 This clip is an extreme close up aerial shot of an elephant statue on top of a building in Hollywood Los Angeles, California at night. Aerial shot moving over the darkened hills heading towards a warm glowing sunset diminishing into the horizon. 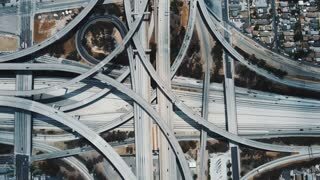 Aerial view car traffic Hollywood Blv Los Angeles, California. 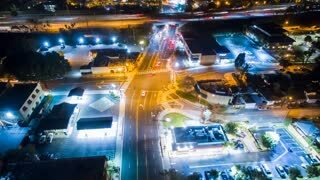 4K UHD timelapse.